Drying a wet carpet can be done many ways. With 22 years experience drying carpet we choose the best way for each flood damage situation to try and save the damaged carpet. 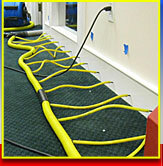 By knowing how to use advanced drying methods each job may use a different method to achieve the best outcome. We are however realistic and will not waste your time and money saving a carpet that is beyond repair. Fast overall drying prevents mold damage. Water removal from the carpet and the pad is key. If the wet carpet pad is still soaked then the Job will develop a wet carpet smell or odor, indicating that the pad is still damp. 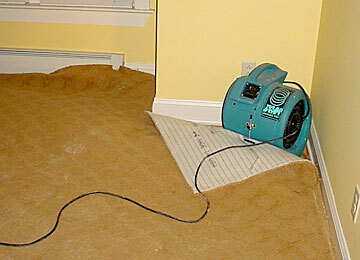 The soaked basement carpet and pad is critical to the dry out success. By using advanced drying methods AAA Flood Drying can save more carpet, pad and wet walls to reduce repair costs and hidden mold damage in the walls. 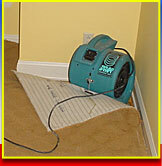 Knowing how to dry wet damp carpet is key to saving a flooded basement carpet. Thorough water removal and extraction is followed up by floating the carpets and the pad to remove all moisture. 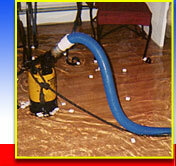 Quick drying prevents damp carpet smell odor and mold damage that is tough to remove or clean out. 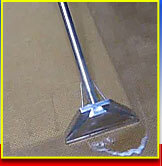 We have many different carpet extraction tools that can be used to remove almost all the water from the flooded carpet. 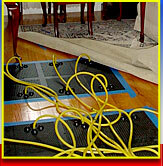 There is very little moisture left in the damp carpet or pad after extraction. Airmovers and dehumidifiers are set up to remove the last bit of moisture to complete the dry out. 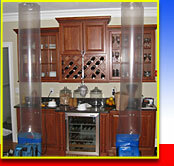 For even faster drying we can use special heaters to make the dehumidifers work more effeciently.